Becoming a foster parent for a rescued pet is one of the most rewarding volunteer experiences you can have. Living in a home helps former strays learn how to be pets. They get a chance to lay on soft surfaces (whether it be your couch or a dog bed on the floor). They discover that they won’t ever be hungry again or have to find shelter from the rain. Most importantly, they learn that people give hugs and kisses and belly rubs. They learn that being a family pet is the best thing in the world. We also get a chance to really get to know them as their true personality comes out. We get to know which dogs will be great in a family with children or other dogs, and which ones need all of the attention showered on just them. Signing up to become a foster home for Gateway Pet Guardians was one of the best things I’ve done in a long time. 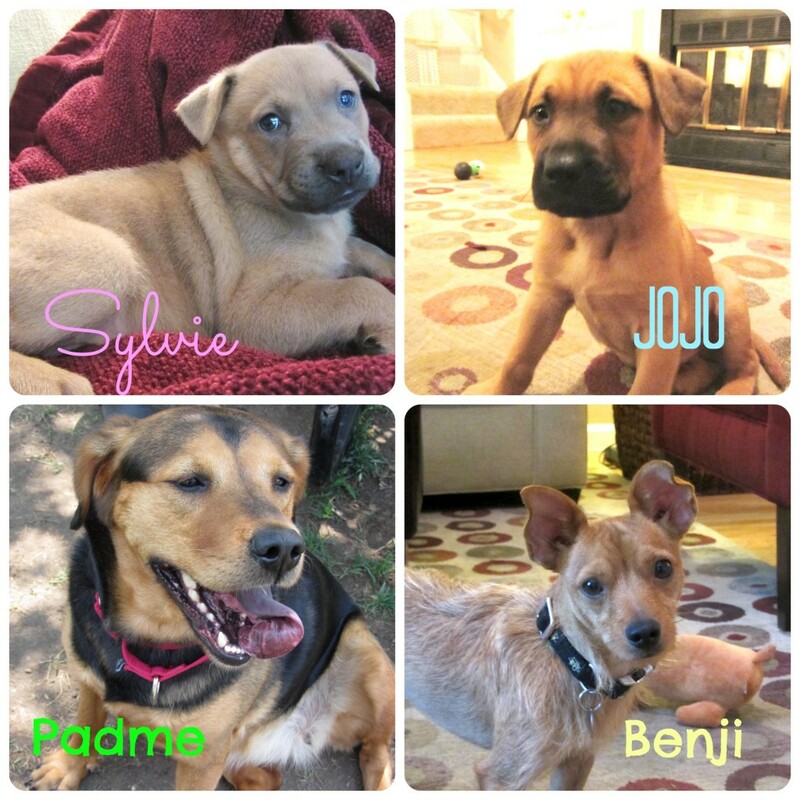 I have fostered 4 dogs – Sylvie and Jojo, Padme and Benji. Padme was with me for a little over a month, and then her prior foster family moved back to St. Louis. They asked if they could foster her again, and I knew that living with a runner with a fenced yard would be better for Padme than this non-runner with no yard at all. It also meant I could get Benji out of the shelter and bring him home. Sylvie and Jojo are now living in loving forever homes, while Padme and Benji are still looking for their permanent families. If you want to adopt either of them, just leave me a comment and I’ll get you all of the information I can about them. If you love dogs and have the space in your home for another furry friend, please consider becoming a rescue foster parent. As a foster parent, you become your foster dog’s biggest advocate. You take your pup to adoption events when you can and you get to pick the forever family! Gateway Pet Guardians takes care of all expenses…vet bills, food, crates and more. We have 4 dogs currently in our temporary shelter that really belong in a home while they wait to meet their forever family. 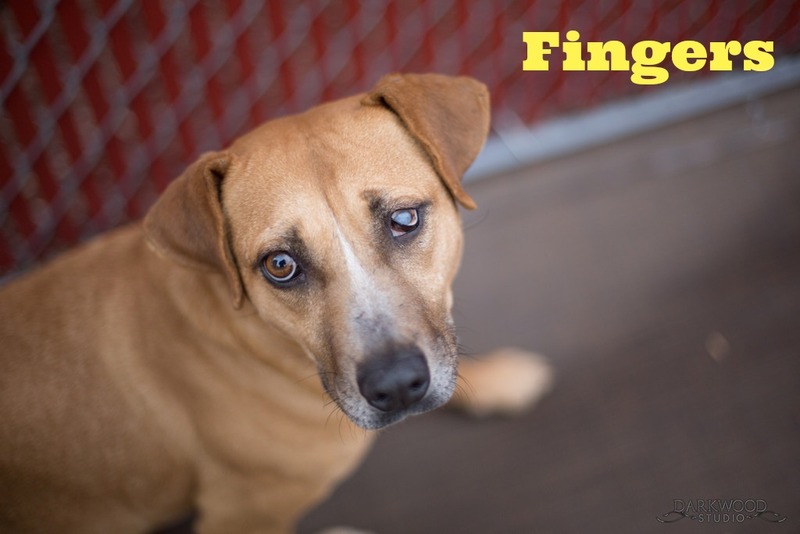 Fingers is a medium size German Shepard mix who needs a foster family. She is house trained, good with kids, dogs and cats. Her favorite thing is to be close to her people, so she will snuggle up close to you and be your friend forever. Fingers is blind in one eye, but that doesn’t slow her down at all. She likes to ride in cars, but for some reason won’t get into the car herself. I think she just knows that she’ll get picked up if she waits long enough and she is holding out for more hugging! Fingers listens really well and responds well to corrections. She is such a loving girl that she’ll probably get adopted fairly quickly once we can get her into a foster home and to some adoption events. All she needs is someone to help her find her forever family. Tali is either a Pit Bull or Staffordshire terrier mix who was rescued in March. She has been living at our temporary shelter with a few weekend stays in foster homes. She is a serious sweetie with so much affection to give. Her former life did not treat her well, but in our care, she’s become quite a lover! Tali has the perfect mix of being energetic but also having a calm disposition. She can be around male dogs but does much better when they are properly introduced before being set loose for a play session. She doesn’t do as well with small dogs, cats or small children, and we think she would do best in a home as an only dog or with a submissive dog as a brother or sister. She is kennel trained and doesn’t have potty accidents inside. She also lets you know when she is ready to come back inside from the yard by barking to get your attention. She loves crawling into laps and snuggling. She’ll also entertain herself with her toys. She is smart and well mannered, and just needs a home where she can get all the love she deserves until she finds her forever family. Jughead is a Pittie/Mastiff mix. He is such a goofy boy who loves to play with other dogs his size. He has even created his own version of the childhood tag game in which he uses the 2 doghouses in the shelter backyard as home base and tries to get other dogs to follow him from one doghouse to the other and then back again. It’s hilarious to watch. Jughead was rescued in East St. Louis back in March and has been living in our temporary shelter almost the entire time. He really needs a home where he can spend all day giving kisses and getting belly rubs. He is house trained and crate trained, and listens well when he is being talked to or corrected. While he is great with kids, he does get possessive over toys, so it would probably be better to have him in a home without small children. He also doesn’t do well with cats or small dogs. 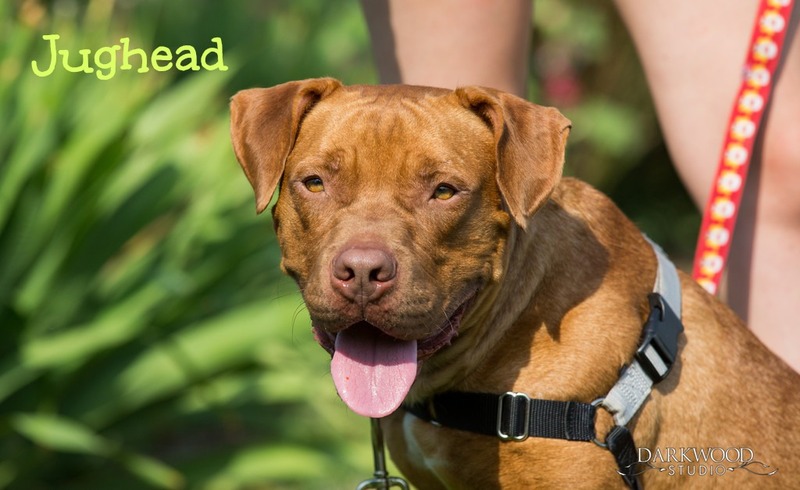 Jughead loves to go for runs and walks, and would do best with active foster parents. He would be fine as an only dog or with other dogs that also have some energy (he can overwhelm calm dogs at times!). We are sure that once Jughead gets into a foster home, he will pick up so many new skills that he will be much easier to get adopted. 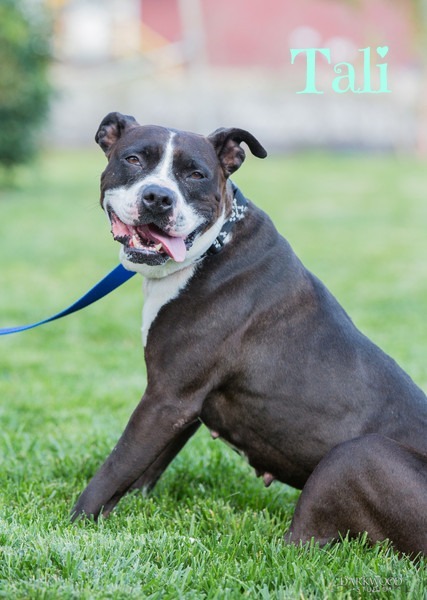 Zeus is a medium sized male Pit Bull who has a ton of energy. He was rescued off the streets of East St. Louis in July, and had a short stay in a foster home that didn’t work out. Since then, he has been living in our kennel but he would do so much better at learning how to be a pet in a home. He is kennel trained and waits to go potty until a volunteer comes to take him for a walk, so we are guessing he would also be house trained. 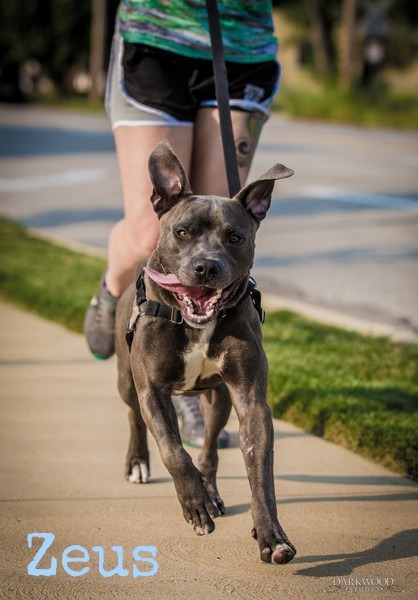 He loves to go for runs and needs an active foster who will help him burn off that extra energy. He can easily jump 4-5 feet off the ground and when he’s let outside, he runs laps around the backyard. He also needs some practice on his manners, but once he is living in a home and has someone focused on teaching him, he should pick things up quick. Given his high energy level, we think he would do best in a home with no young children. We haven’t seen him around cats yet, so we aren’t sure how he would react. Are you able to give one of these dogs a loving place to live while they wait to meet their forever families? My cat is terrified of dogs or I would love to do something like this. Getting him accustomed to them isn’t an option because he has bladder issues and stress makes his urinary tract infections worse. Not a good thing! However, I can totally see why Jojoj was adopted right away. That is the cutest dog ever! Actually they are all cute and having a dog like Zeus around would definitely get me running more. Karen I love that you are doing the fostering for the dogs and trying to find more folks to get involved! It really is so rewarding. My life is so much more full since I adopted Milo. And while I’m not prepared to adopt a second dog, I love helping other dogs find the perfect home and giving Milo a playmate while we are looking.